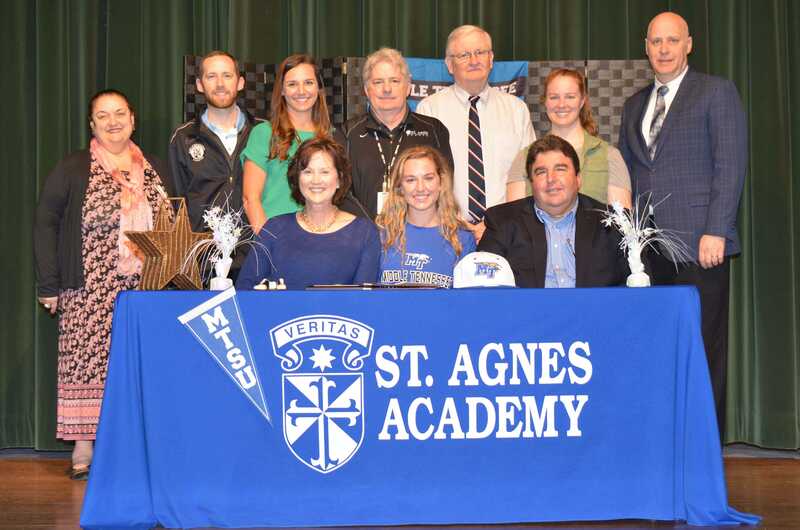 St. Agnes Academy senior Lauren Capocaccia signed a letter of intent to play soccer at Middle Tennessee State University. A four-year member of the SAA varsity soccer team, Lauren played midfielder for the Stars and received numerous honors for her outstanding play. She distinguished herself right from the start earning the honor of Freshmen Rookie of the Year. As a sophomore and junior she was named to the All-Region team and named the Best Defensive Player. She was named to the TSSAA All State team in both 2017 and 2018. As a senior, Lauren was captain of the team and helped lead the Stars to a Regional runner-up championship. In addition to her achievements as a soccer player for St. Agnes Lauren also played with the Collierville Lobos Rush Premier team from 2012-2018. She was a member of the National League team, which won the Southern Regional Premier League Championship in 2018 and 2019, were the Regional finalists in 2018, and the Tennessee State Champions in 2015 and 2018. Lauren leads by example in the classroom as well as on the soccer field. She is an AP Scholar and is a member of the National Honor Society, the National English Honor Society, Mu Alpha Theta, Rho Kappa National Social Studies Honor Society, and the Spanish Honor Society. As Co-President of the St. Agnes Pep Club Lauren has coordinated numerous service projects, helped lead field day and spirit week events, and cheered on the STARS at countless games. “Middle Tennessee State University is getting an awesome soccer player in Lauren Capocaccia. 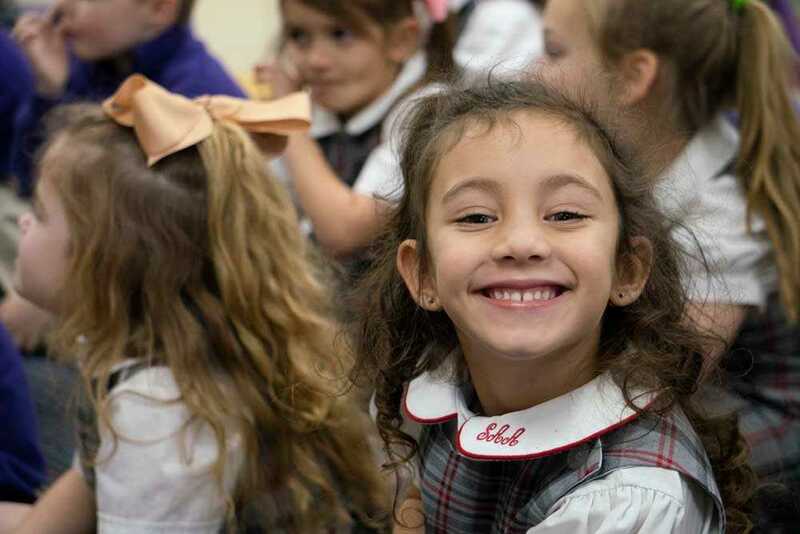 But, it is all the other things that Lauren does that will make an impact and create a positive difference at that school,” said Tom Hood, President, St. Agnes Academy-St. Dominic School. “It is clear that Lauren lives the Four Pillars of Study, Prayer, Community and Service at St. Agnes. I know she will continue to live those Four Pillars at MTSU. We look forward to following all her successes on the field and off the field in the upcoming years,” said Mr. Hood. Lauren is the daughter of Debbie and John Capocaccia. Her St. Agnes soccer coaches are Bobby Ireland, Maggie Glaser, Carley Bergdoll, and Kevin Hudspeth.